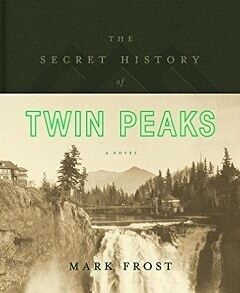 Audible has released a preview of the first four pages of David Frost’s Twin Peaks revival tie-in novel The Secret History of Twin Peaks, which enlarges the world of the iconic series ahead of the coming reboot. The cast of the audio book includes Kyle MacLachlan, David Patrick Kelly, Mark Frost, Russ Tamblyn, Michael Horse, Chris Mulkey, Robert Knepper, Annie Wersching, Len Cariou, Mat Hostetler, Arthur Bishop and Ari Fliakos. The preview features David Patrick Kelly reading a memo to “special agent” – dated 8/4/2016 – from David Lynch’s character Gordon Cole. The memo concerns a secret dossier recovered on 7/17/2016 relating to a series of murders in a town called Twin Peaks in 1991…. The Secret History of Twin Peaks will be published in the U.S. on October 18th.